With all the street smarts you need for the daily grind and a hidden adventurous spirit, the Wide Mouth Flip D-Ring effortlessly transforms from a flat, low-profile cap that takes up minimal space in your purse or bag to a sporty, functional loop cap you can clip onto just about anything. Like all of Klean Kanteen’s caps, it’s made from made from BPA-free polypropylene (pp#5). 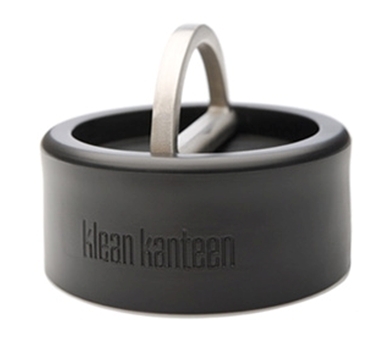 But the inside of the Flip D-Ring cap is 100% stainless steel, so your drinks never touch plastic! With just one rugged moving part, it’s designed to be durable and is made to last. The Flip D-Ring also looks great paired up with the flat, ultra low-profile, all-stainless S-Biner from Nite Ize™, which comes in two sizes and is available as an accessory.